The Parish of Tullycorbet, Clogher Diocese. ...last updated on the 13th September 2009. 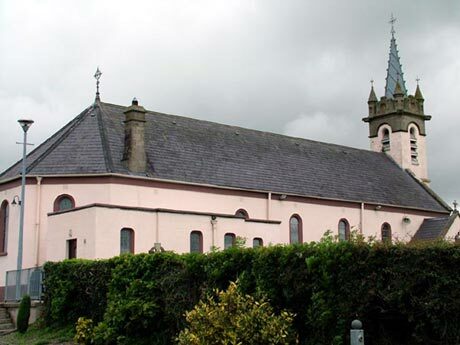 The Parish of Tullycorbet lies in the centre of Co. Monaghan, with the town of Ballybay as its hub, flanked by the rural divisions of Tullycorbet and Ballintra. At the 2005 census it had 727 Catholic households with a catholic population of 2,153. There are approximately 85 families of other faith traditions. Tradition links the parish to St. Patrick. Tullycorbet – The Hill of the Chariot was named after the steep hill at Terrygeely, where St. Patrick’s chariot allegedly broke down on his journey through the kingdom of Oriel, from Armagh through Donagh to Aghabog. It was probably on the same hill that the fist church was built, on the site of a ringed fort. From earliest times St. Patrick was recognised as the patron saint. A Roman letter of 1415 mentions the church of St. Patrick at Tullycorbet. It is marked on the survey map of 1591 as Tempell Tolagh-Corbet. The parish was deeply affected by the Ulster Plantation. The church at Tullycorbet passed into the hands of the Established Church and Catholics depended on itinerant monks for Mass and the sacraments. A reminder of those difficult times is the mass rock at Carga and mass garden at Ballintra. Mass is now said annually at the Carga Mass Rock on the second Sunday after Pentecost, the feast of Corpus Christi. 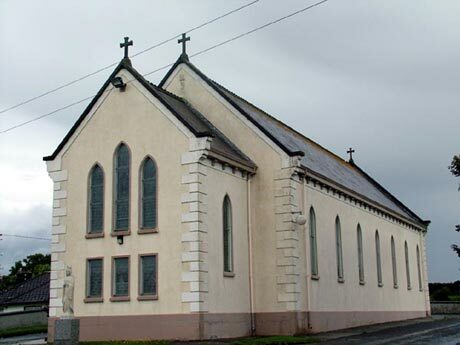 The oldest of today’s three churches is Our Lady of the Most Holy Rosary at Tullycorbet, built in 1794 and renovated in 1897. A church was probably built at Ballintra around 1750 at the mass garden, later to be replaced by a more permanent structure in 1791. This was eventually replaced in 1939 by the present Church of Our Lady of Knock. This church lays claim to a chalice made in 1710 by John Hamilton of Ormond Quay, Dublin. 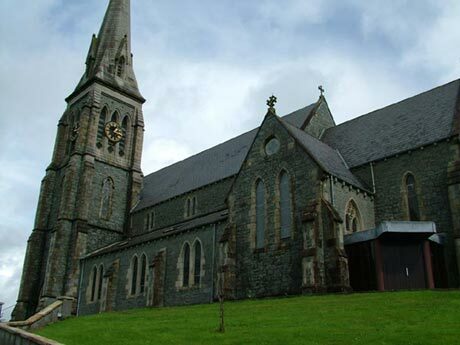 St Patrick’s Ballybay, the parish church, was dedicated in 1865 by Bishop Donnelly. It is a beautiful example of the work of William Hague of Cavan, in revival Gothic. The Daughters of Our Lady of the Sacred Heart came to Ballybay in 1930. They were originally involved in attending the sick and infirm in the parish. Some of them taught in the primary schools. Presently they are in charge of a nursing home for the elderly with an intake of 35 patients. The parish has one primary school: Scoil Éanna (named for St Enda) with over 230 pupils. The Community College (VEC) has an enrolment of 250 students. Laity increasingly play an important part in parish life, socially and liturgically. There is an active parish council, parish finance committee, and St. Vincent de Paul Society. In recent years the Do This In Memory programme for those preparing for first Holy Communion has made a vibrant addition to the liturgical life of the parish. The G.A.A. is an important part of the fabric of the community, with two clubs Ballybay Pearse Brothers and Drumhowan.